Renton Regional Fire Authority is governed by the Governance Board, which in turn answers to the citizens of Renton and Fire District 25. The Governance Board is responsible for steering the organization toward a sustainable future. They heed the needs of the community and adopt sound, ethical, and legal governance and financial management policies, as well as ensure Renton RFA has adequate resources to advance our vision of a safer, healthier community for all. Councilmember Pavone and his wife, Angela, live on Renton Hill with their two young boys, Roman and Dominic. Armondo has deep roots in the Renton community. His father, John, retired after 24 years of service with the Renton Police Department. He was born and raised in this community and is a graduate of Renton High School. Myron graduated from Inglewood High School in Southern California in September of 1976. He served in the United States Coast Guard from 1976 – 1986 with 3 & 1/2 years aboard the Cutter Munro and the remainder of the time as Coxswain (Skipper) of a 41 foot Search and Rescue Patrol Boat based out of Seattle, WA. After leaving active duty, he joined the Seattle Fire Department in 1980. In 1987, he was assigned to the Hazardous Materials Response Team. Myron attended South Seattle Community College where he received an AA degree in Business. In 2000 he became part of a new company started by firefighters. The Emergency Response Training Institute or ERTI is a training agency which conducts training for state, government and private industries in the areas of hazardous materials, technical rescue and scenario based counter terrorism exercises. Myron was the Hazardous Material Program Manager until 2014. 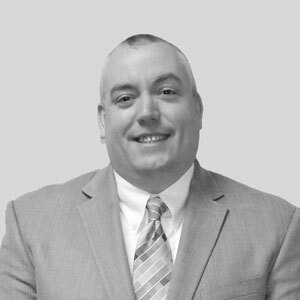 In 2014, he started Response Solution Inc. (RSI). RSI was started to provide Washington State hospitals with emergency preparedness training such as Mass Casualty Decontamination, Command and Control, and scenario development. Myron is an International Association of Firefighters (IAFF) Master Instructor and has served as a member of the Washington State Technical Advisory Group for Hazardous Materials. From 2004 – 2009, Myron served as a member of the FEMA PEP POD program on Pod Support Team 3. This is one of nine deployable response teams throughout the United States responsible for delivering emergency equipment and technical expertise to disasters or terrorism events around the county. Myron currently lives in Renton with his wife. He has three grown children and three granddaughters. He was involved in scouting for 13 years, along with other activities throughout the years. In 1998, he was elected as one of three Fire Commissioners for King County Fire District 25, where he’s still serving. A proud resident of the recently annexed Cascade neighborhood, Ed believes the strength of our government comes from collaborating with residents and community partners. 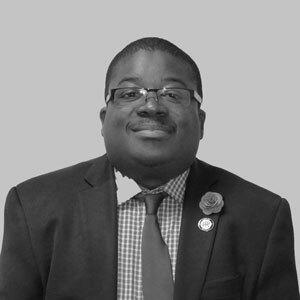 Ed is the Executive Director of the Washington State Commission on African American Affairs and previously worked for the Washington State House of Representatives. 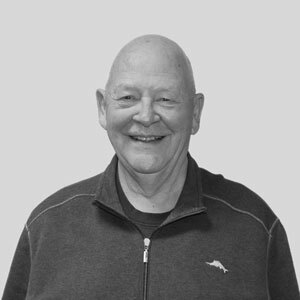 Ed is a former chair of the City of Renton Planning Commission, past chair of the Renton Schools Bond and Levy Campaign and a founding director of the Renton Community Foundation’s “The Next Curve”. Councilmember Prince was elected to the City Council in 2011. 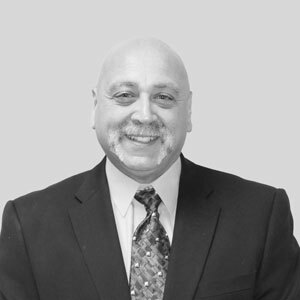 He enjoys working with the mayor, other councilmembers, residents, and community partners to make Renton a great place to live, work, play and raise a family. Ed lives with his wife Meegan, son Alex, daughter Carrington and two pugs, Will and Kennedy. Marcus was born and raised in Washington state, growing up in Auburn. He graduated from Auburn High School and then received his BS degree in Mathematics from Pacific Lutheran University in Tacoma. After getting married in 2001, he and his wife, Kristin, settled in the Renton area. 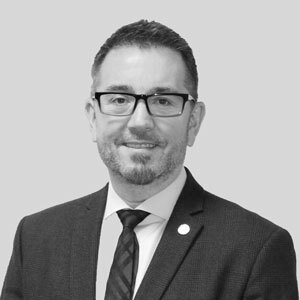 Marcus began his career in the Health Insurance industry, first as an Underwriter for the local BlueShield affiliate in Seattle. Later he moved to a national consulting firm still within the healthcare industry. 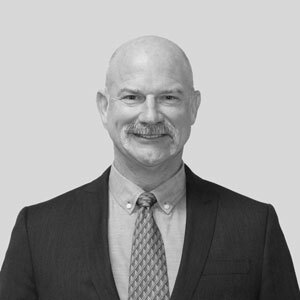 Ultimately, in 2009, he began work for a small consulting firm based in Seattle with a special emphasis on Labor and Union healthcare benefits, with a particular niche of working with Fire Fighters. Working with first responders has become the focus and has forged the direction of his career, his working relationships, and his personal friendships. Marcus, Kristin and their six children live in the East Renton Highlands, close to Apollo Elementary, Maywood Middle School, and Liberty High School. In 2018, they will have children attending all three schools. 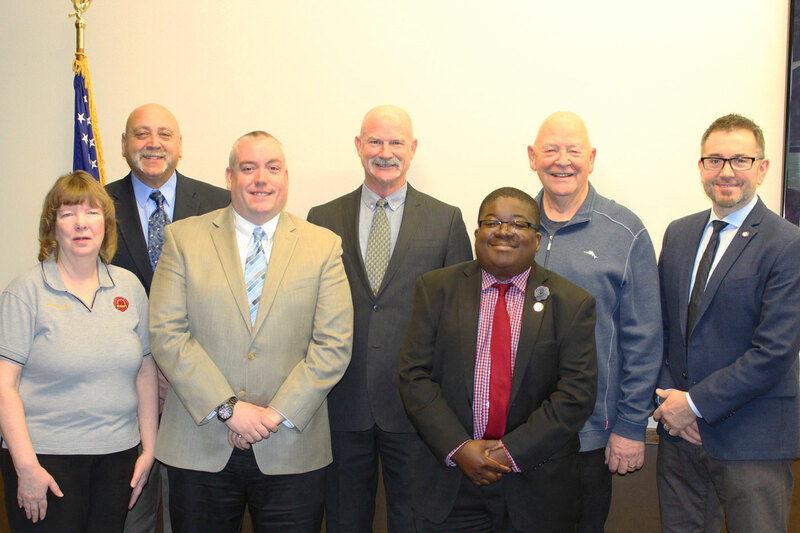 When he learned of the upcoming retirement of longtime Renton Fire Fighter, and Commissioner, Ray Barilleaux, Marcus saw an opportunity to serve his community as part of the newly formed Renton RFA by running for Commissioner in 2018. He was elected and looks forward to bringing his experience and vision to the Board, seeing the RFA into the next decade. Kerry has been part of the Renton community for the past 32 years. He has served as a King County Fire District #25 Commissioner since early 2014. Kerry became involved with Renton’s Fire and Emergency Services to give back to his community, to share a common interest with his son who is a firefighter/paramedic on Bainbridge Island, and to represent his friends and neighbors to ensure excellent fire services for years to come. Kerry’s career started with a BS degree in Marine Fishery Biology and a unique job at Sea World as Marine Mammal Specialist. In 1982, he returned to school and obtained a 2nd BS in Computer Science. This later degree allowed him to move to Renton to work at PACCAR as a computer programmer and later as part of PACCAR’s management team. Kerry moved on from PACCAR to Weyerhaeuser, eventually to John L. Scott, and now into semi-retirement. He has put in thousands of hours working with the youth of our community and 15 years at 5-Star as coach, sports director, vice president and president. Kerry lives in King County Fire District #25 with his wife Kim (of 35 years), and is only a stone’s throw away from Briarwood, Maywood and Liberty where his two children attended school and graduated from. Upon their H.S. graduation, both attended Western Washington University, each graduating with B.S.’s in their fields of interest. 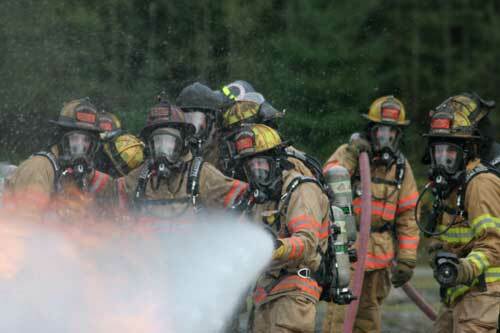 Kerry sees the formation of the Renton Regional Fire Authority (RRFA) improving Fire and Emergency services for Renton. Since the RRFA now has a stable funding model, longer term planning and execution of services will only get better providing quicker response times, greater community involvement and creative “out of the box” thinking, taking Renton’s Fire and Emergency services to the next level. Don Persson is serving in his seventeenth year on Renton city council. He has served as Council President four times and has served on most council committees during his tenure. Don knows the Renton Community extremely well as a result of growing up in Renton, raising his family in the Renton area, serving thirty three years in the Renton Police Department (including leadership as Deputy Chief), and then serving three terms as a Renton Councilman. Don watches the budget extraordinarily carefully, and works hard to make sure Renton residents get good value for every penny spent. He does not hesitate to ask very detailed questions to ensure that nothing gets past him, a skill which he honed in his years of elected service and decades of police work. Don is also a very active volunteer in Renton. He was involved in P.T.A while his daughter was in school, and he continued this involvement after his daughter graduated, by working to establish Communities in Schools of Renton. He is also actively involved in Renton Rotary and is a founding board member of Renton River Days. Don is a very sought-after volunteer barbecue chef for large events, and can be found grilling chicken, salmon, hot dogs, and hamburgers for different community groups throughout each year. Linda has served as Commissioner for four years. 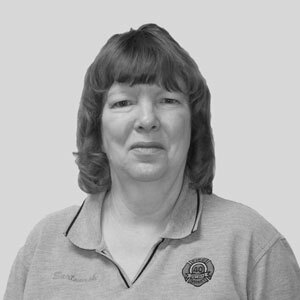 She has been a resident of Fairwood Greens for more than 30 years, and enjoys being involved in local community affairs. Linda graduated with a B.S. degree in Business Administration and currently works for Proctor & Gamble in the food safety division. She has also been an airline pilot for TWA and American Airlines for 15 years.